When you were younger, your parents or caretakers probably did the laundry. As you grew up, laundry responsibilities fell to your shoulders. For some, learning how to do laundry may not have included the best ways to separate your laundry. It’s an important lesson, too — you can avoid many laundry mishaps and save yourself a lot of time and stress by separating laundry properly and doing the right fabrics at the right temperature. With this skill, you can make your clothes last longer, preserve coloration, and prevent damage to delicate fabrics. 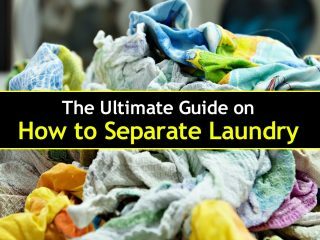 Here’s how to separate and do the laundry to make sure your clothes last as long as possible. Anything denim goes in this load. White underwear, socks, T-shirts and other items go in this load. As long as the white fabric can withstand warm or hot water and normal agitation, it can get mixed in. Pastel colors like yellow, lavender, pink, light green or light blue are considered light loads. Dark colors like purple, navy, black, red and gray go in this load of laundry. Delicates include items that cannot handle harsh agitation from the washer. Underwear, silk, and anything with sequins or lace would all be considered delicates. Thin knits and cashmere fall under the ‘delicates’ category, but you’ll want to wash them separately. As you sort clothes, you may want to separate out items that have stains. Once you’ve sorted everything else, you can go through and apply a spray-on stain remover before putting them back into the right pile of laundry. Examples of such stains on clothes are oil stains, lipstick stains or armpit deodorant stains you want to remove. For particularly bad stains, you might try soaking the fabric. Other than sorting the fabric by color, you may also want to try sorting it by its weight as well. For example, you may not want to mix a thick winter jacket with a light cotton T-shirt. 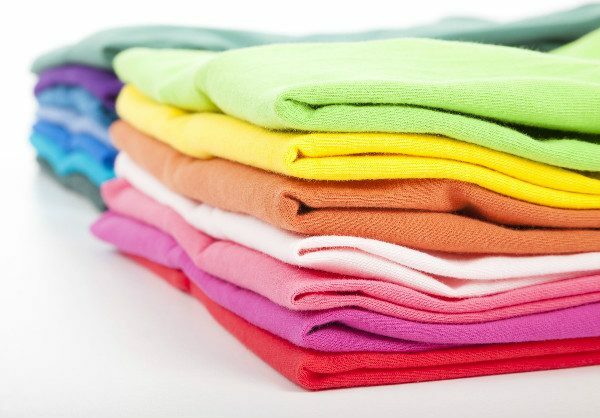 Heavier materials can end up tearing thin, light clothes in the wash. Plus, fabrics that are a different weight will not dry at the same speed since one garment is so much heavier. If you can, you’ll want to wash heavier items in separate loads. Sorting your clothes can be a quick process. Go through the laundry one by one and create piles according to the above categories. If you’ve never sorted laundry before, taking the time to sort each piece of clothing might seem like it takes a while. Rest assured, the more you do it, the easier it becomes. Once you’ve sorted the clothing, do each load one by one. The best way to sort laundry is by using a specialty hamper with multiple compartments for easy organization, sold by many big box stores. Instead of throwing dirty clothes in a single pile, you throw it into the appropriate compartment, and when one fills up, you know you have enough for an entire load. Using a specialty hamper will save you the time of having to sort through the laundry, as you’ll be putting each garment into its respective category at the end of each day (or whenever you undress). Once you’ve sorted your clothes, you’re ready to start doing the laundry. You’ll be washing each type of garment differently, so make sure you have sorted your clothes correctly. Also, you’ll want to read the manufacturer’s label to ensure that the clothing does not need specialized care. Generally speaking, washing clothes throughout history has been a simple affair: you take your laundry down to a source of water (usually a river) and then swish them around until they’re clean. In some cases, you might use a tool like a metal washboard, or you might soak your clothing in lye. Nowadays, lesser-developed countries still rely on these methods to do laundry. The more developed countries use washing machines to take care of their dirty clothes. We’re going to assume that you’re using a washing machine. Laundry using machines typically involves five components: a washing machine, a dryer, dirty laundry, dryer sheets and detergent. The dirty clothes go in the washing machine, and the drum fills with water. If you have a top-loading washer, you likely have an agitator, which — as the name implies — agitates the water. If you have a front-loading washer, then the drum rolls and rocks, which agitates the water. The detergent helps to clean and freshen your clothes. Did you know that you can dry clean your laundry at home? Check out our detailed dryer guide on home dry cleaning. Once the washing machine finishes, you transfer the clothes to the dryer. The dryer dries the clothes. Drying clothing can cause static to build up, so you may want to use a dryer sheet. Dryer sheets are specially lubricated to eliminate electrical charge in clothing. Use a dryer without thinking about the static, and you’re likely to get shocked while you’re handling the clothes, which is harmless — but annoying. When doing laundry, keep a few tips in mind. For starters, avoid over-loading your laundry. As discussed above, part of the cleaning process is agitation. 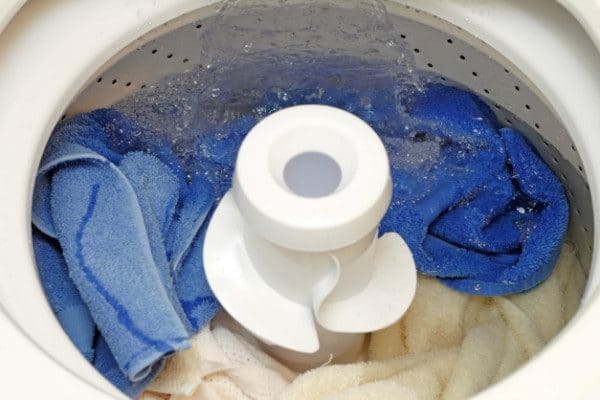 If you’ve crammed clothes into your machine, the water won’t agitate, and your clothes will stay dirty. For extra-dirty clothes, make use of the presoak cycle rather than washing them twice, which will save you time, water, and electricity. Consider adding bleach to white loads to make them cleaner, but never add bleach to anything colored, or you’ll ruin your clothes. Pretreat stains instead of hoping the wash will take care of them. Consult the owner’s manual to familiarize yourself with the cycles. The cycles are self-explanatory — ‘wool’ is for wool clothing, ‘delicates’ is for delicate garments, etc. If you don’t have a choice of cycles, you may have an older machine, which gives you direct control over how gentle (or vigorous) the machine is with your clothing. The agitator speed controls how aggressively the water agitates; the spin speed dictates the speed of the spin cycle. If you’re washing heavier items (quilts, winter coats) then you’d want to go with fast settings for a more vigorous washing; with delicates (bras, underwear), you’d want the slow settings for a gentler wash.
Make sure you’re getting the right detergent. If you have a high-efficiency machine, buy bottles with ‘H.E.’ on the label. If you put regular detergent into high-efficiency machines, you’ll get too many suds and end up spending your day cleaning up the mess. Finally, make some time to clean your washing machine. Pull out drawers and dispensers and clean any residue. If a self-cleaning cycle is available, use it. Otherwise, choose the largest load size, let the machine fill up with water, add some bleach, and let it run a cycle. As you hold the waistband, pull down the legs vertically before drying. Dry with low or medium heat. If they are over-dried, it can cause unnecessary wear on the jeans. If you are struggling with shrunken jeans, here some tips to unshrink your clothes. In general, you want to keep plain white clothing separate from colored and dark clothing. But what about white clothing with colors on it (a white shirt with stripes, for example)? While you wash them the same way, you would do these in two separate loads, because you want to avoid the red from the striped shirt bleeding onto the plain white shirts (and turning it pink). There are a couple of other caveats. Exceptionally dirty, greasy, or filthy white clothing should be kept out of loads with plain whites because washing them together could cause stains. In some cases, you might find that even if they’re the same color, the materials might be incompatible. For example, if you have fabric that creates lint (such as a towel) and you mix it with a material that collects it (such as corduroy), you may find yourself spending a while picking the lint out of the corduroy. A better option would be to keep these fabrics separate. Wash whites in hot water whenever possible, because hot water is better at handling bacteria and germs, and it will better preserve your garment’s whiteness. The exception is if you have stained white clothing. Cold water is better at removing substances like wine, chocolate, tea stains from clothes. 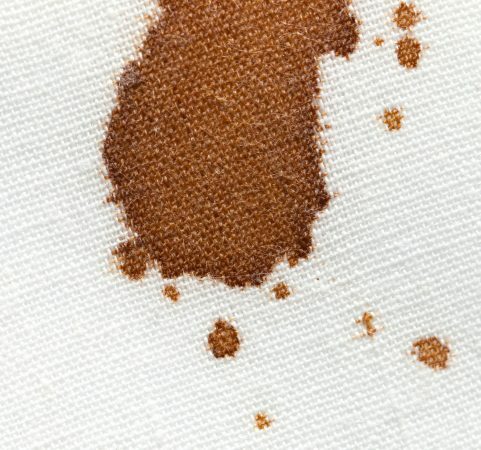 For more on removing these difficult stains, see our guide on how to best get chocolate stains out of clothes. Speaking of stains, if you have stained white clothing, check to make sure the fabric is stain-free before committing to the dryer. The heat in the dryer causes stains to set, and you’re unlikely to remove the stain after you’ve blasted it with hot air. If the stain is still present, avoid putting the garment in the dryer and look into alternate stain-removal methods. To dry, consult the tags and dry accordingly. Use the dryer or hang to dry when possible, if the garment requires no special drying methods. The sun’s rays have a natural bleaching effect, which will keep your whites looking white. One of the best ways to wash white clothes is by using bleach. Bleach is a powerful chemical and you can use it to great advantage, but misuse can cause laundry catastrophes. First and foremost, avoid letting bleach touch the skin, as it can cause irritation. If you ingest it, contact a Poison Control Center immediately. Additionally, avoid mixing bleach with other household chemicals (such as ammonia) because when mixed with chemicals, certain types of bleach create powerful (and deadly) solutions. Bleach can only be used on white clothes because it has a bleaching (whitening) effect. Use it on colored or dark clothing and your clothes will end up looking terrible. Avoid using bleach on delicates, because certain types of bleach can lead to degredation of the fabric (fraying, tears). If you’d prefer to whiten your clothing without using bleach, or if you find that you have trouble working with the chemical (it irritates your skin, e.g.) then consider using a natural alternative. Why do you want to separate light and dark clothing? The reason has to do with the dyes used in the manufacturing process. Dark clothing uses more dye, and the dye tends to run, especially when the garment is brand new. The runny dye, as you can probably guess, will discolor light clothing. When you’re doing lights, you’ll want to use hot water to clean them, especially when the clothes are particularly filthy. With dark clothes, hot water tends to cause the dye to run, especially when there’s a lot of dye in the clothing. So to best wash dark clothes, use cold water. The same color rule that applies to everything else applies here: keep light-colored delicates and dark-colored delicates separate. You’ll want to end up with three piles total: a pile for whites (white, yellow, light gray), one for dark, (black, navy blue, dark gray) and one for red (red, purple, pink). Your washing should have a ‘delicates’ cycle. If so, use it. Set the agitator speed and the spin cycle speed both to the slow setting if you have no delicates cycle. Wash bras and lingerie on the gentle cycle with a mild detergent. Even delicate items such as down comforter that say hand-wash on the label can use the delicate cycle if you place them in a zippered mesh bag to prevent damage. Fasten clips and zippers, or they might tear the garment. Wash delicates on their own if possible. If that isn’t possible, avoid including them in loads with heavier garments, because heavier garments might rip or damage the delicates. Air dry to prevent the straps and underwires from becoming damaged. Wash cotton blends on the gentle cycle. Most synthetics and cotton materials can be machine washed using warm or cold water. Use a gentle cycle with an all-purpose detergent. Dry sweaters on low for 10 minutes and lay them out on a towel if they tend to become wrinkled. For delicate fabrics like cashmere or wool, use a zippered pillowcase in the wash for added protection and the delicate cycles. Test silk for colorfastness before hand-washing in cold water with a mild detergent. See also our detailed guide on how to wash laundry by hand which covers more hand-washing tips. Start by unfastening all of the buttons to prevent the buttonholes from tearing. Pretreat any stains with a stain remover. Afterward, wash the shirts using the permanent press setting and an all-purpose detergent. Use your dryer’s permanent press setting because it will help to prevent wrinkles from forming. Wash adult coats in warm water with a mild detergent and the gentle cycle. In the dryer, use the ‘low’ option to prevent damage. Tossing in a few clean towels with the coats will help to remove some of the excess moisture and speed up the amount of time it takes to dry them. Sort socks by color, as usual. The one exception with socks: socks in the laundry are an ongoing joke. Somehow, people the world over can put an even number of socks in the laundry, and take an odd number out, with the missing sock(s) never to be found again. 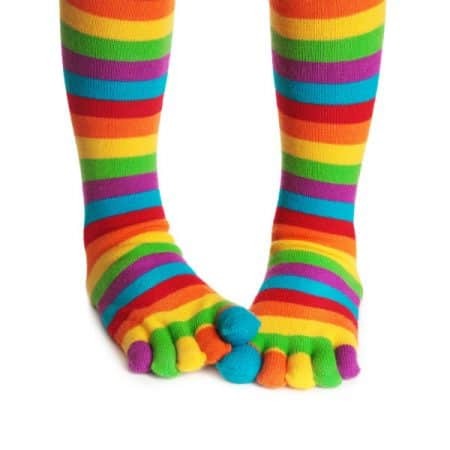 Want to avoid missing and mismatched socks? Use bobby pins to link pairs of socks before you put them in the wash. They’re a pair when they go in; a pair when they come out. At its core, laundry is a science. There are a wide variety of ways to do laundry, and there’s no one way to do it that applies to everyone. Hopefully, some of these tips have helped you in your laundry endeavors. 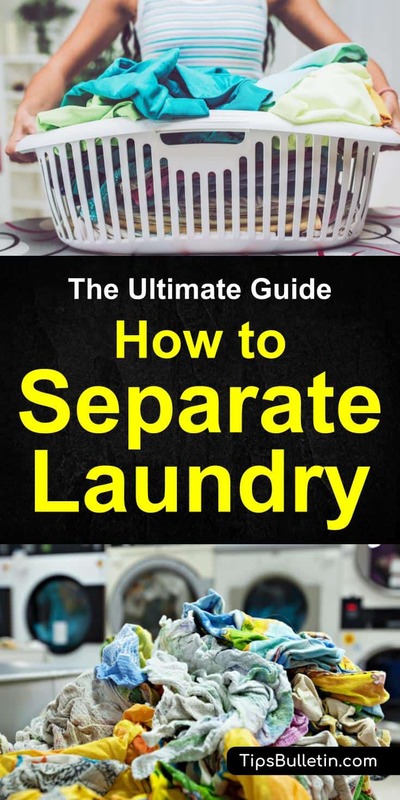 In this article, you learned how to separate laundry and how to do laundry. You got some tips on how to make your clothes cleaner and more colorful, and you saw some ways of avoiding and laundry mishaps. Have a friend that would benefit from a few laundry pointers? Use the buttons below to share to Facebook, Twitter, and Pinterest!